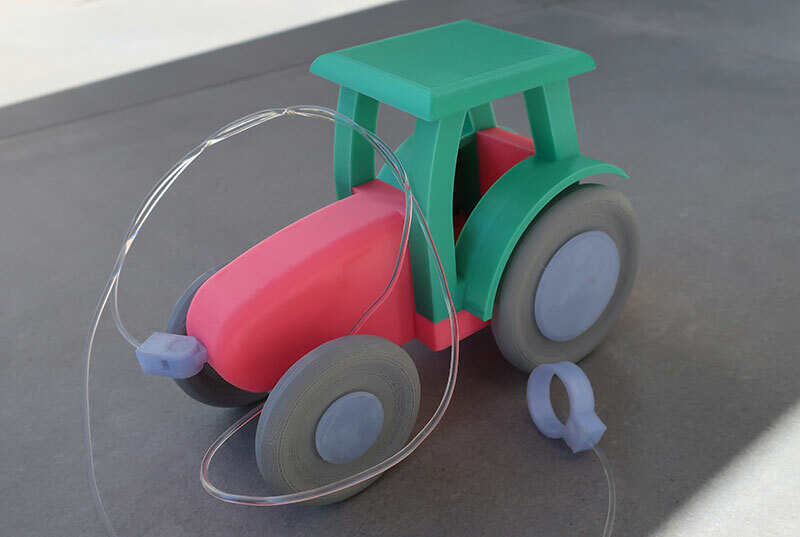 Printed in ABS, but will print equally well in PLA. Many parts, but not a difficult build. Print the parts and put it all together. Printed tolerances will always vary from machine to machine. If you get it right, everything can be interference fitted, meaning no glue required. For small kids, it is suggested that you do glue parts together, as there are many small parts. Parts list not necessary, it is self explanatory. The wheels do have 626 bearings for free rolling, but using your favourite CAD program, you can redesign to work without bearings easily. The couplings use 10mm x 7mm neodynium magnets. I will publish the trailer STLs depending on demand..or email me and I will gladly provide. What free channels are on chromecast? How do I reset my Arlo Q camera? 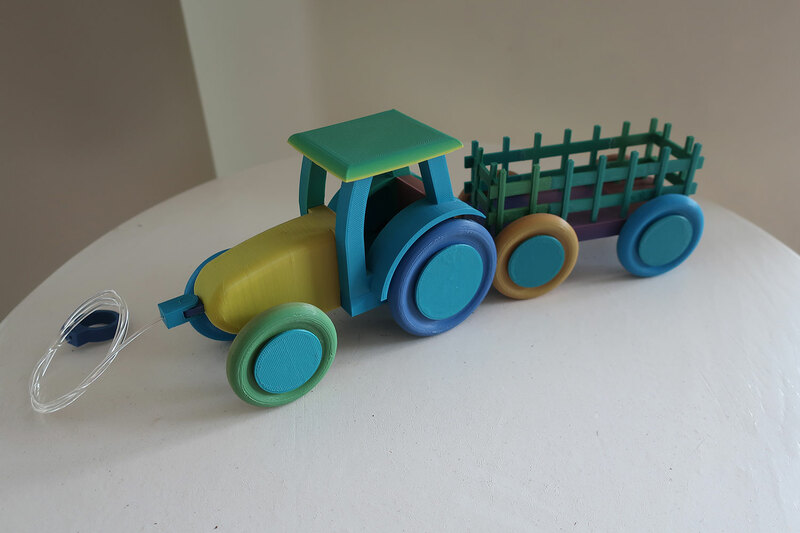 I bought a roll of rainbow filament and printed the tractor and trailer using it. I am very happy with the result. Very easy to create and the children love the finished result. I needed a toy for a child's birthday and fell in love with this design. It was easy to reproduce and put together. I work full time and was still able to complete the print within a week. Would love a jeep with the same style! Perfect result - exactly like the designer's. 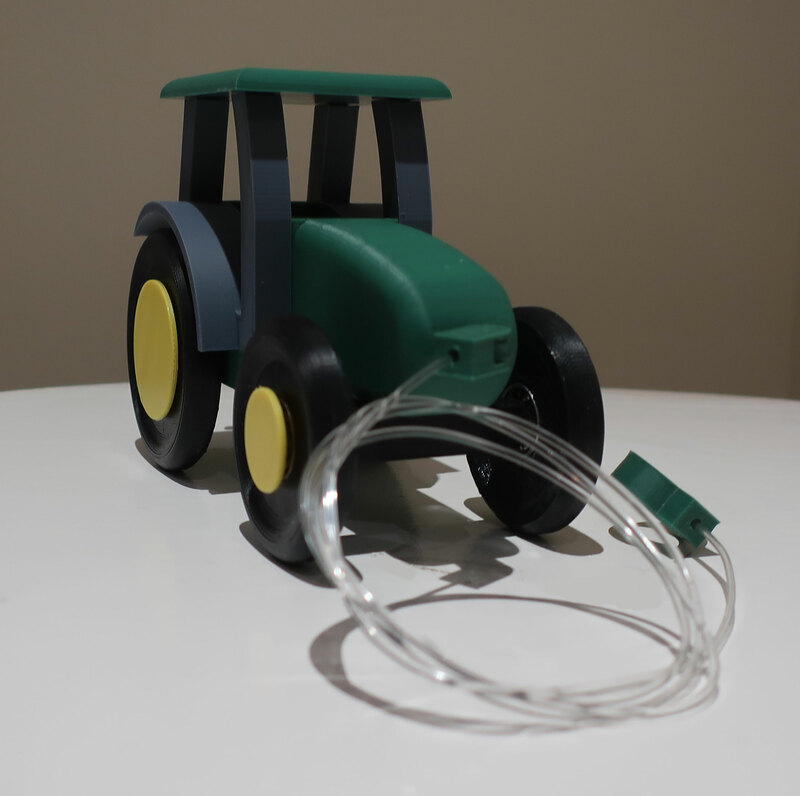 Great project, great toy. Fun to make. Thank you. Ohh wow, what a Great idea I will try to make it at home for my son I hope I will make it. Making toys through hands is not a very easy art many efforts and practices are behind a good toy. 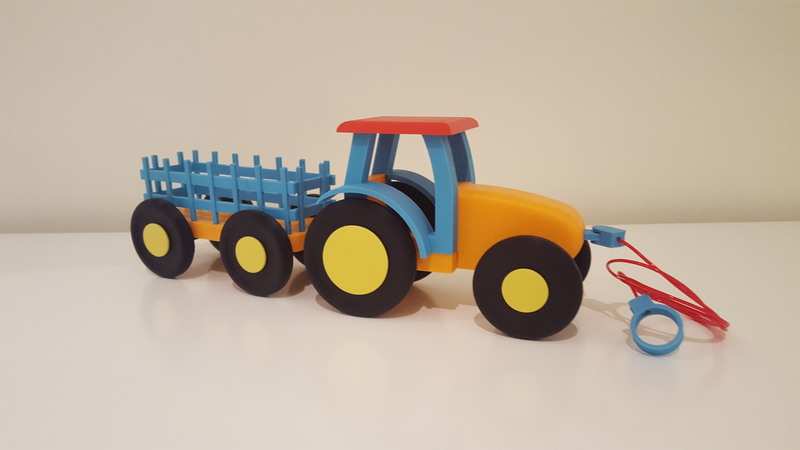 I normally bought my kid's toys and other educational accessories from back to school coupons but I will try to make this tractor and will give surprise to my son.